Inside: Your passport to fall family fun in the Maryland area. 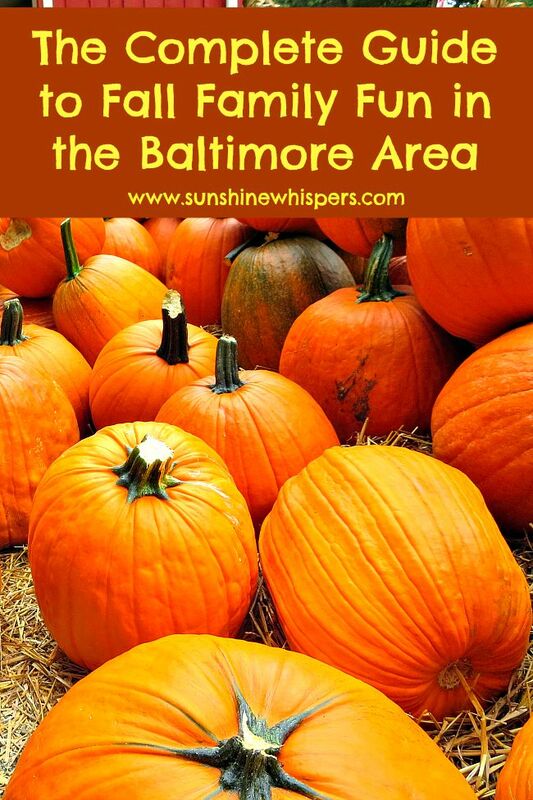 It includes the best fall festivals in Maryland plus apples, fall foliage, pumpkins, and Halloween! Did you see it? The leaves are starting to change. Apples are in season. The grocery store has brought back pumpkin spice. With the start of school and (hopefully) cooler weather, there are so many fantastic fall festivals and activities in the Baltimore-DC Area. Lucky for you, I have done a fair bit of research for you. 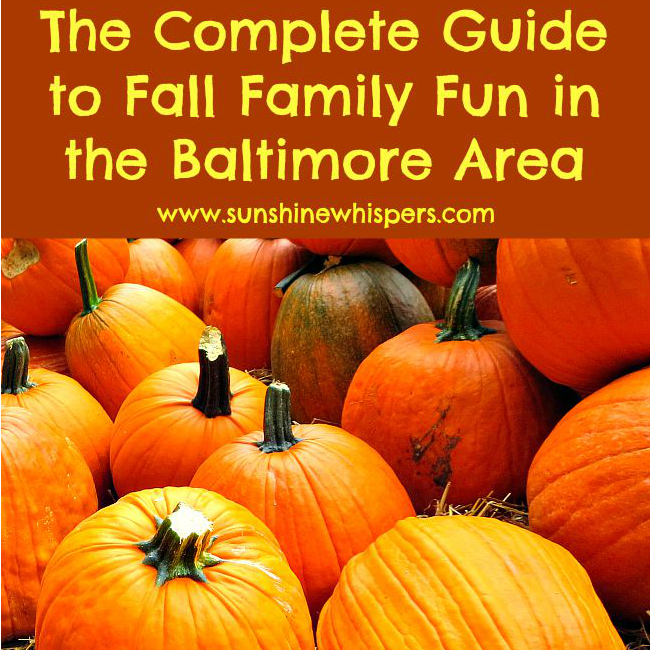 Hopefully, this guide will act as your comprehensive resource for fall family fun in the greater Baltimore-DC area. 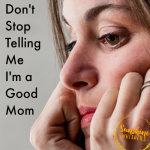 I have focused this guide on families with young children (no haunted houses.. sorry). So, happy harvest! I hope you pick out the best pumpkin ever, drink the best apple cider slushie, and see the most vibrant fall colors. New for this year!!! Sunflowers and GLOW events! Clear Meadows Farm: These sunflower fields have historically been some of the biggest in Maryland. They are now expected to be at peak bloom the 1st and 2nd week of October. You can read more about this awesome place here. Burnside Farms: Located in Haymarket, VA, this farm typically has amazing sunflowers in the middle to late summer. However, their Summer of Sunflowers was cut short by the rainy weather and now they are combining a late summer sunflower planting with their fall festivities! I believe this includes a sunflower maze! Wow! You can read more about how awesome Burnside Farms is here. Garden Glow at Ladew Topiary Gardens: http://www.ladewgardens.com/EDUCATION/Family-Education/GardenglowThis is the first year Ladew Topiary Gardens has put on a GLOW event and I couldn’t be more excited. It will feature illuminated sculptures, hundreds of glowing jack o’ lanterns, live music, and local vendors of food and spirits. Enjoy special educational exhibits of owls, bats, moths, spiders and other creatures of the night. October 20th, 5-9PM. The GLOW Jack-O-Lantern Experience: https://theglowjackolantern.com/washington-dc/We didn’t visit this attraction last year and I kicked myself. It looks sooo cool! It is being held at Lake Fairfax Park from October 4th-28th. 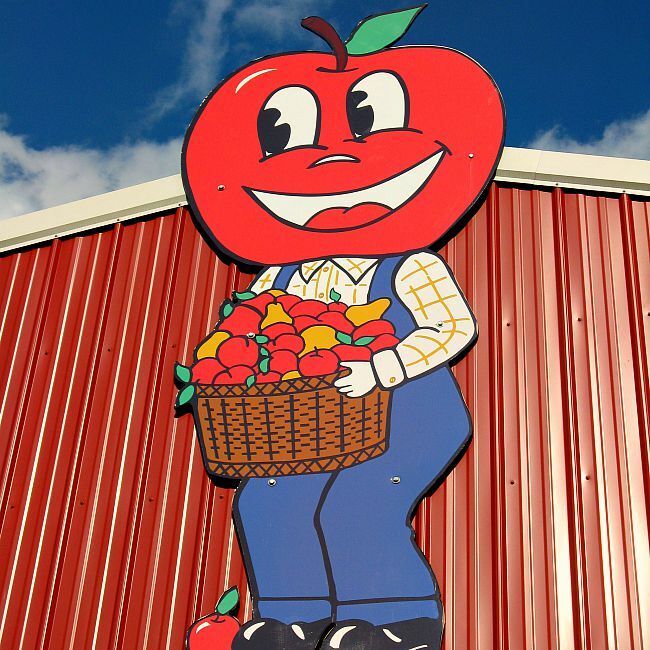 Baugher’s Orchards and Farms: Take a nice drive to Westminster, MD and pick some of the juiciest apples in the area. Baugher’s specializes in honey crisp apples but grows pretty much all varieties. Stop by their market for delicious apple cider donuts still warm and wash down their yummy goodness with an apple cider slushie. They also have a great little petting zoo farm. Larriland Farm: Nestled out in Western Howard County, Woodbine, this fantastic pick your own farm will have apples ripe for picking in late September. Butlers Orchard: This fantastic farm and orchard is located in Germantown, MD. Milburn Orchards: Located in Elkton, MD, this orchard offers an ‘apple adventure’ pick your own experience. Homestead Farms: This pick your own farm in Poolesville, MD is operated by a family who has been farming in Maryland since 1763! Weber’s Cider Mill Farm: Don’t let the fact that the pick your own farm is called, PeachBerry Farm. Weber’s Cider Mill Farm in Parkville, MD offers apple picking beginning in late September. Make sure you pick up some fresh apple cider and apple cider donuts as well! U.S. National Arboretum: Peak bloom is in mid-to-late October, with many varieties of maple trees showing off their bright red splendor. Patapsco Valley State Park: Any of the regions of this park would be great for fall foliage viewing. 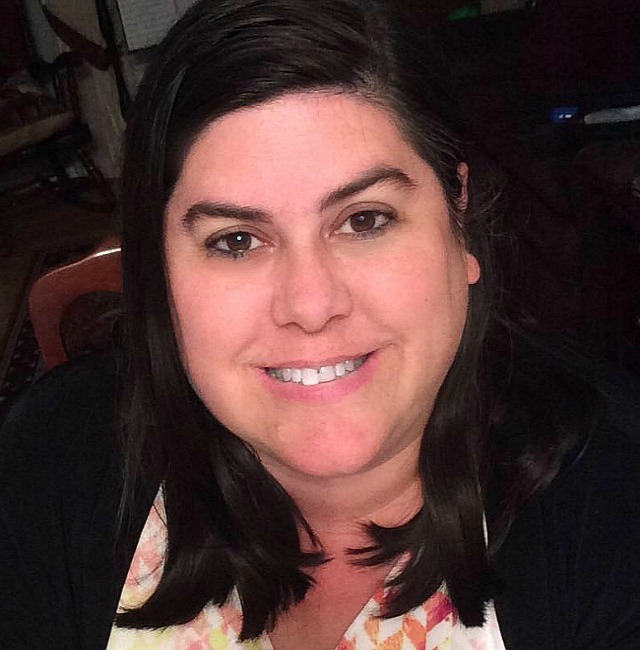 However, areas that are more accessible for families with small kids include the Hollofield Area off of Baltimore National Pike (Route 40) and the Avalon Area in Elkridge. Read my review about exploring this great park with young kids! Great Falls Park: Both the Virginia and Maryland sides of the park offer great fall leaf viewing and easy hikes for kids. Sugarloaf Mountain: Located in Dickerson, MD has a fantastic vantage point for leaf peeping. You can drive to the overlook, so it is great for kids. Elk Neck State Park in Cecil County. The leaves turn in late October/early November in this Chesapeake area park. Take the 1 mile hike to Turkey Point Lighthouse for spectacular views. Cunningham Falls State Park in the Catoctin Mountains is gorgeous anytime of the year. Wouldn’t it be awesome to see the falls with the backdrop of the fall leaves? Gunpowder Falls State Park in Kingsville, MD. Lots of Aspen trees make the fall leaf season quite spectacular. Swallow Falls State Park in Oakland, MD. Check out the hike to Muddy Creek Falls, a 53′ waterfall. Note: Many of the farms that have pick your own apple orchards, also offer pumpkin patches. Unless the farm offers a significant festival I did not list it in this section. However, if you want a more ‘authentic’ pumpkin patch, I would check out one of the farms in the apple picking section. Many of them do offer hayrides as well. Butler’s Orchard: I can’t say enough great things about this pumpkin festival. It really does have it all. If you want lots of details about what to expect, check out this post I wrote about it last year! Summer’s Farm: Ok, so I didn’t know fall festivals had transformed from hayrides and pumpkin picking to a hay-themed amusement park until Sweet Pea and I visited Summer’s Farm Harvest Festival last year. Read this post to find out more about all the fun attractions at this festival, or visit their site at: http://summersfarm.com/. Additionally, check out their evening corn maze, campfire, and fireworks weekends. Totally cool! 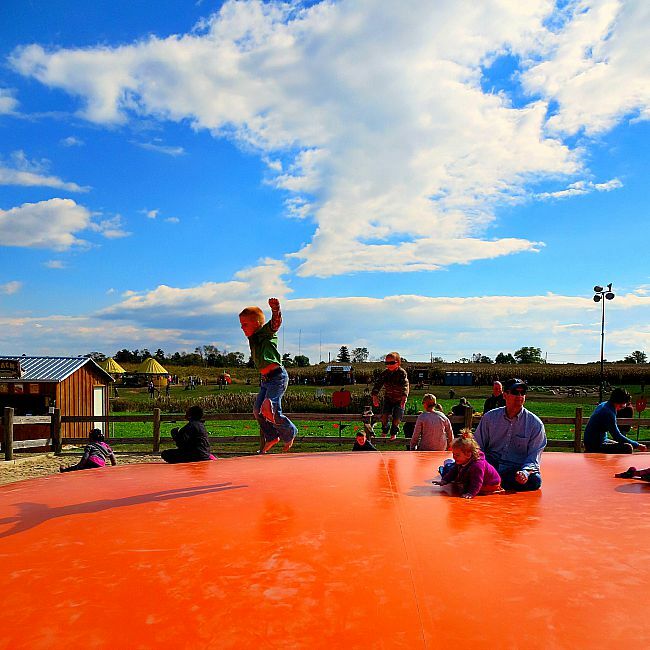 Buppert’s Doran’s Chance Farm: This cute farm in Carroll County is perfect for families with young kids. There is a super fun corn maze, a hayride out to the pumpkin fields where you will pick the pumpkins off the vine, and a few animals to feed as well. The pumpkin season runs weekends during October. Winterbrook Farms: https://winterbrookfarmsmd.com/Located in Thurmont, MD, this fall festival boasts the largest corn maze in Maryland. Other activities include pumpkin picking, a zipline, mountain slides and 20 other fun attractions. Rose Hill Manor Park Fall Festival Weekend: October 6th-7th from 10AM-4PM at the Rose Hill Manor Park in Frederick, MD. Activities include hayrides, tractor pull, candle dipping, children’s activities, and craft vendors. 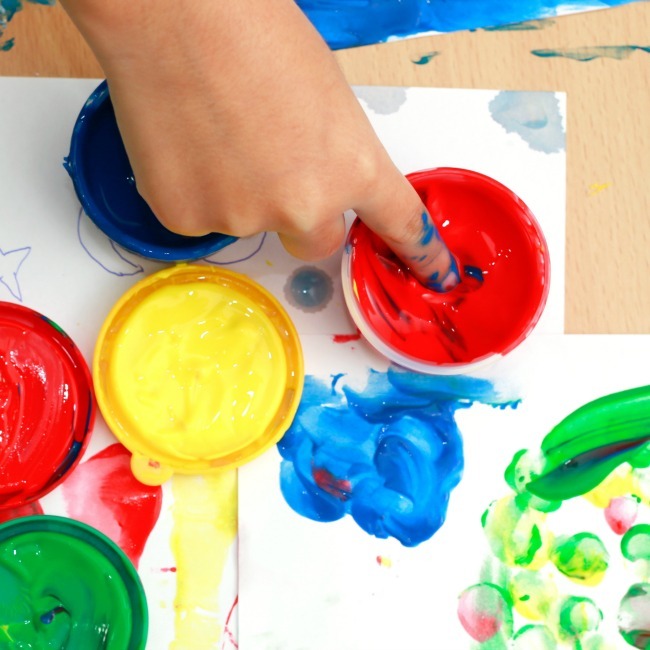 Children’s crafts are 25 cents each and parking costs $1. For more information click here. 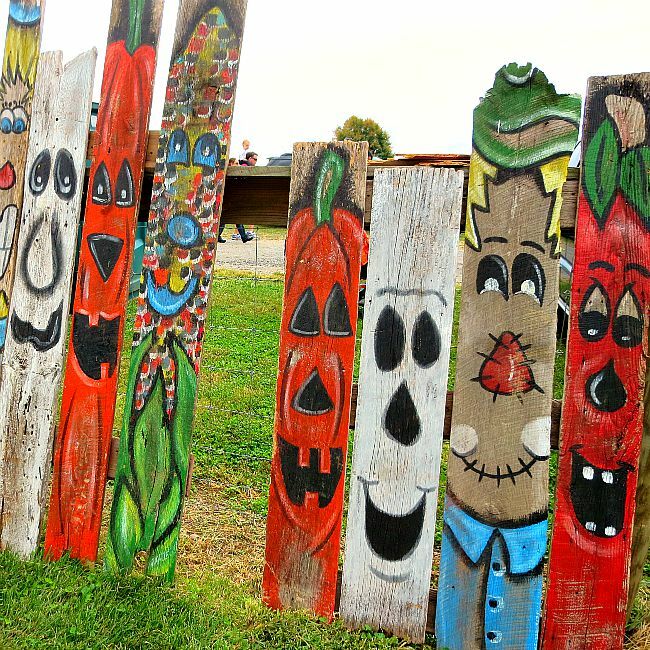 Great Pumpkin Patch: October 13th-14th from 10AM-4PM at the Old National Pike District Park in Mount Airy, MD. Activities include a hayride, moon bounces, face painting, a petting zoo, pony rides, pumpkin decorating, and a trick or treat trail with character meet-n-greets. The cost is a little unclear, but I believe it is $5/person. Click here for more information. 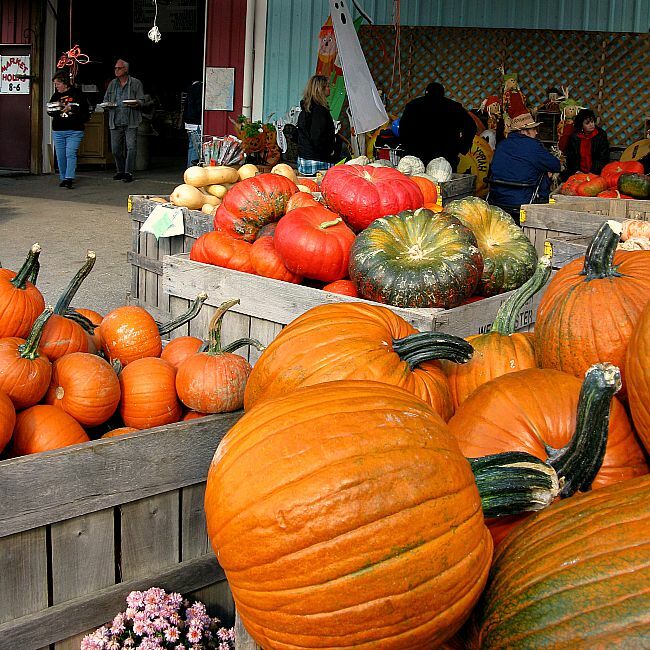 There are tons of great fall festivals in Virginia each year. Here are some of the favorites! There are quite a few Truck or Treat or Kid Friendly Trick or Treat events in Maryland. This list is likely not complete, but I have tried to link to as many as I could find, mostly in Maryland. Thanks! Catonsville Peace A Pizza Trunk or Treat: October 29th at 7PM. You can register to just do the trick or treating or you can also sign up to decorate a trunk, but you must sign up via email because space is limited. This event is free. For more information, click here. Truck or Treat at the Gary J. Arthur Community Center in Glenwood: October 27th 10AM-1PM (10-11AM is the sensory friendly hour). This annual trick or treating event is a huge hit as there are tons of trucks that kids can not only hit up for candy, but actually climb on board. There is a $2 entry fee. Click here for more information. Halloween Among The Trees at the Robinson Nature Center: October 20th– two sessions starting at 9AM and 1PM. Enjoy a friendly, self-guided trick-or-treating adventure through Robinson’s indoor exhibits and paved trail. Delight in Halloween-inspired music, crafts and tyke-friendly challenges along with live animals and healthy treats from our sponsors (MOM’s Organic Market and David’s Natural Market). All ages- $10, child; $5, adult; Free, siblings under 1 year old. Click here for more information. Happy Haunted Hayride at Rockburn Branch Park: October 21st and 28th at 2PM. This Halloween hayride is cute, friendly and not-so-scary for little ones. This event is for fun – not fright! For ages 2-7 years old. $5 cost– cash only. Spooky Science at the Maryland Science Center: https://www.mdsci.org/event/spooky-science/October 27th from noon-4pm. Celebrate the chills and thrills of Halloween at the Maryland Science Center for Spooky Science Day! Creepy chemistry and mysterious science combine to provide a hauntingly good time. Spend the afternoon with us and make gooey, glowing slime, launch creepy catapults, see our mad scientists in a creepy interactive demonstration, and even watch us chuck pumpkins off of the roof! I hope you have a great fun fall season! 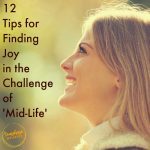 Thanks for checking out this guide! This is so great Sara! What an amazing resource for families that live in the area!! Also excited for an worsted 2018 list! I look forward to these lists EVERY YEAR!!! THank you for such great ideas!